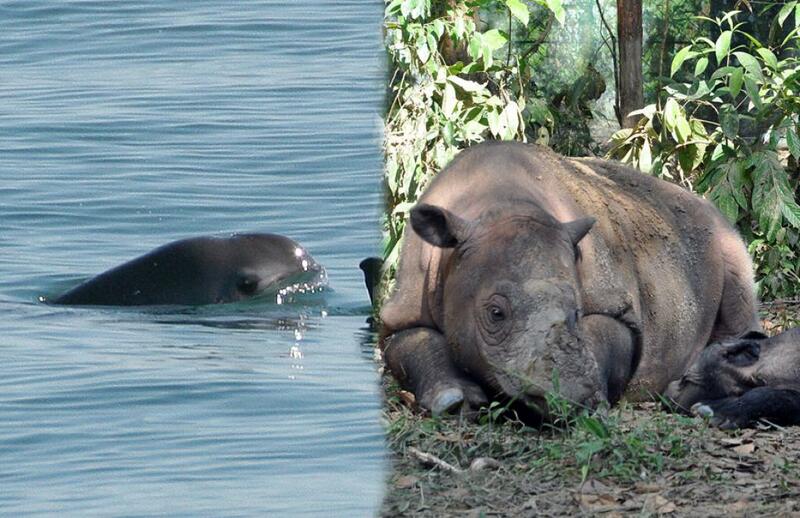 There is some good news for two of the world’s most rare and endangered animals, the vaquita porpoise and the Sumatran rhino, with developments in the United States and Indonesia offering some hope for their recovery. While the US Court of Appeals for the Federal Circuit has upheld a preliminary ban on Mexican seafood imports to save the vaquita, the first wild Sumatran rhino has been captured in Indonesia in an urgent bid to save the species. The vaquita, the world's smallest porpoise, is found only in the Gulf of California or Sea of Cortez, the narrow body of water separating most of Mexico from the Baja California Peninsula. The vaquita is frequently caught in nets set for another fish, the totoaba, whose swim bladder is valued in traditional Chinese medicine. Vaquita drown on getting caught. Over the past 20 years, 95 per cent of the population has been lost. In recent years, the porpoise’s decline has accelerated. Scientists predict that the vaquita will be extinct soon, possibly even by 2021, if Mexican fishing practices and law-enforcement efforts remain unchanged. Conservation groups filed a suit in the US Court of International Trade in New York City in March. In July, they secured a preliminary order implementing a federal law (The Marine Mammal Protection Act) that requires a ban on seafood imported from the Gulf of California and caught with gillnets that drown the vaquita. The departments of Commerce, Treasury and Homeland Security, which are charged with banning imports that are contributing to the vaquita’s extinction, have tried and failed to modify the import ban three times. On November 28, the US Court of Appeals for the Federal Circuit confirmed the July order. In the other notable development, on November 25, Sumatran Rhino Rescue, an international coalition of conservation organisations, captured one of the world’s last remaining wild Sumatran rhinos in a pit trap on the island of Borneo. The scientists and conservationists hope to use the female rhino, named Pahu, in captive breeding and improve the species’ genetic diversity. The move was necessitated as there are less than 80 wild individuals left in the world today. Sumatran rhinos have decreased by 70 per cent in the past 30 years. Pahu was captured from a mining concession in East Kalimantan Province in Borneo. She was transported by truck from the rescue site to a temporary holding facility. She is reported to be in a healthy state.